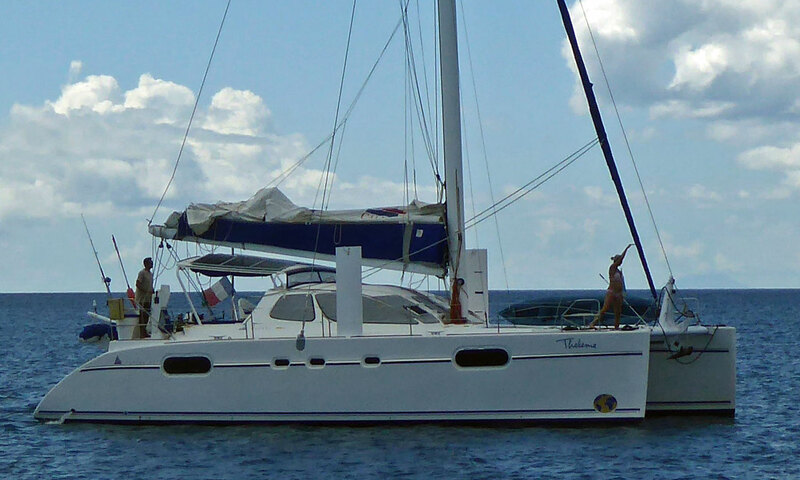 As I'm sure you'll know, there are two types of multihull sailing boats - catamarans and trimarans. 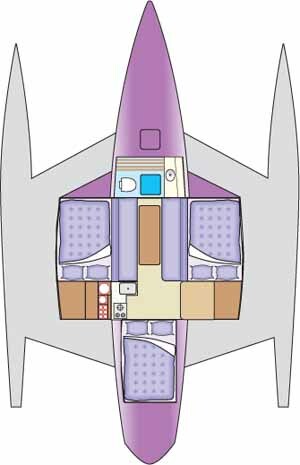 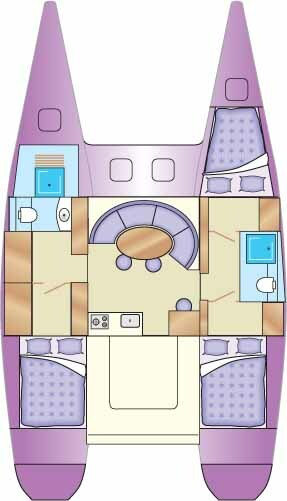 As the accommodation plans below show, the catamaran is significantly more commodious than a trimaran of similarly length overall. 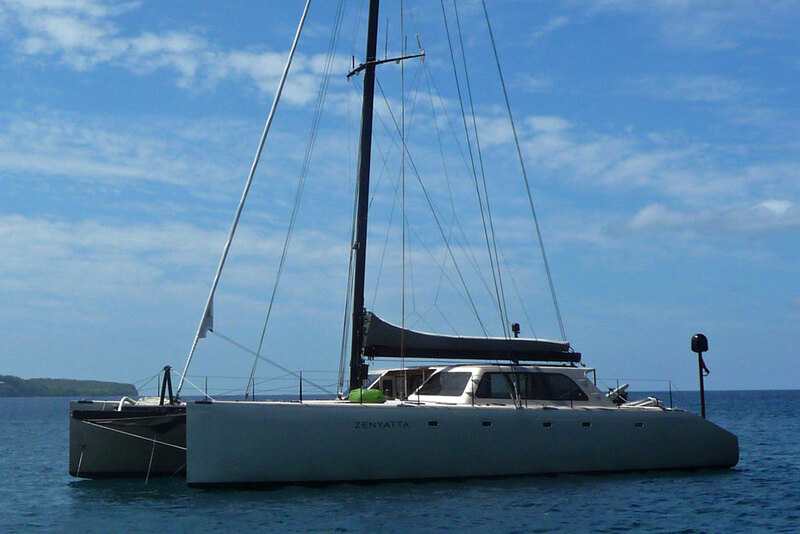 Multihull sailing boats for cruising can make a great deal of sense; fast, light - and they don't heel. 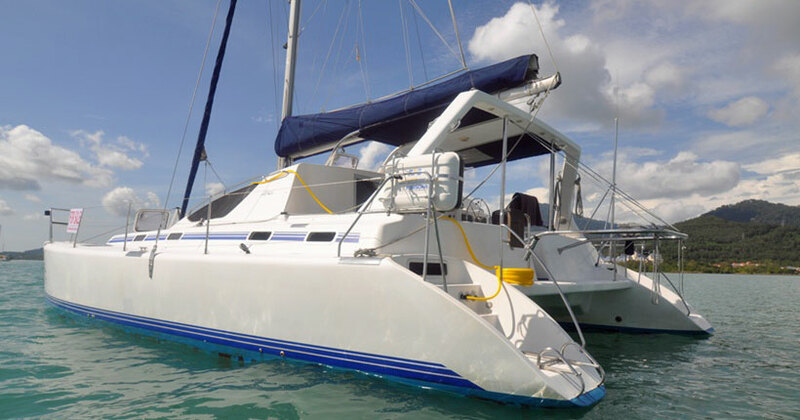 Of the two, the catamaran provides more accommodation but the trimaran makes for faster passage times. 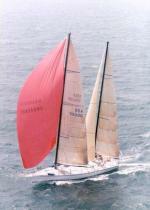 No prizes for guessing which is the more popular with charterers! 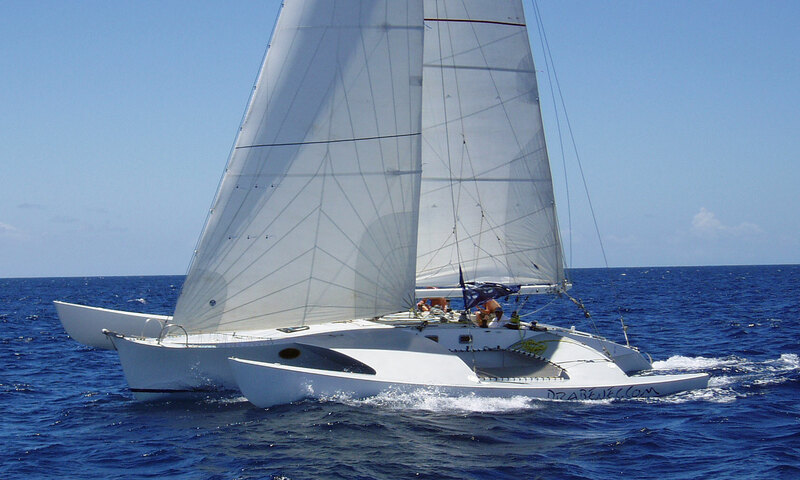 Catamarans and trimarans are rely on form stability much more so than their ballasted monohull cousins - overload a multihull sailing boat and any performance advantage is lost. 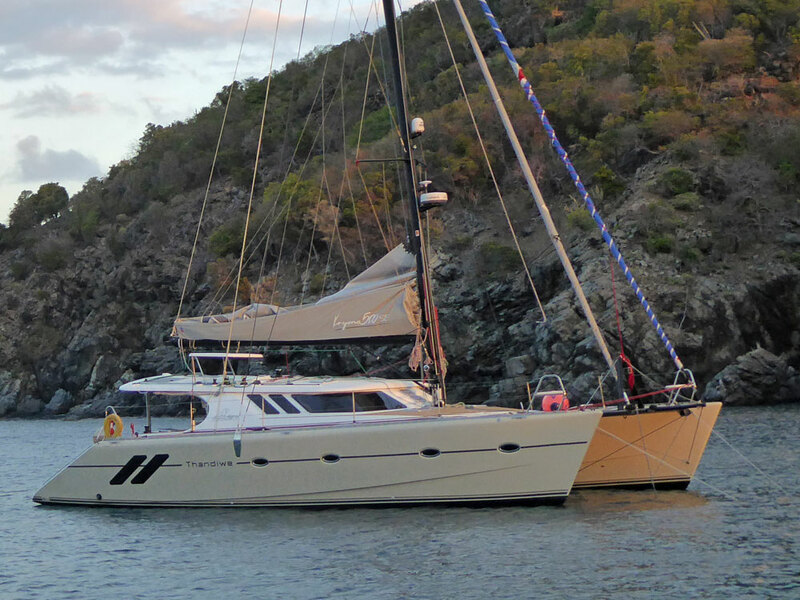 'Thandiwe' - 'Jangles' slightly bigger sister - at anchor in Lee Bay, Great Camanoe, British Virgin Islands. 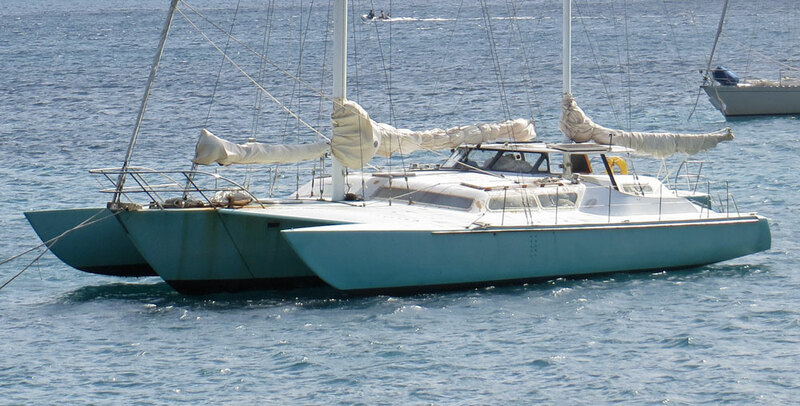 'Sagittarius' covers up, demonstrating the downside of large flat cabin windows in the hot tropical sun. 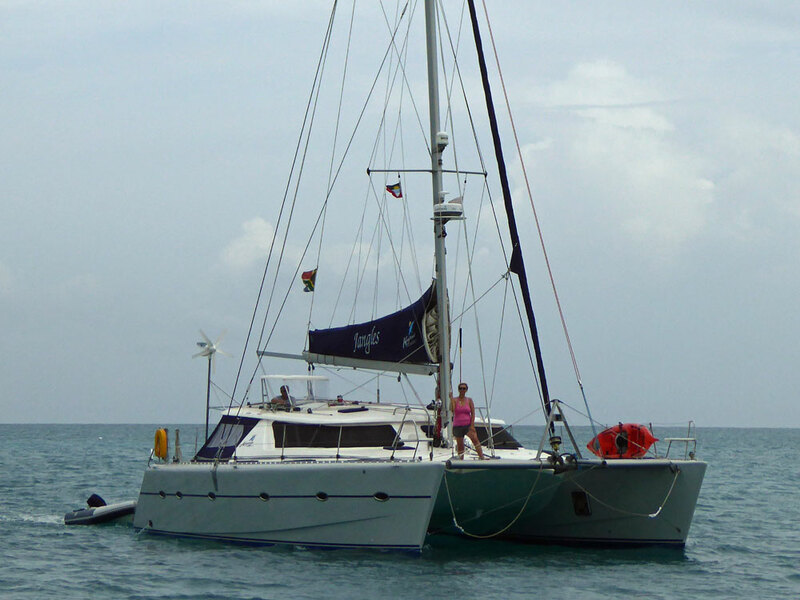 'Captiva', a huge cruising catamaran at anchor in Five Islands Bay, Antigua. 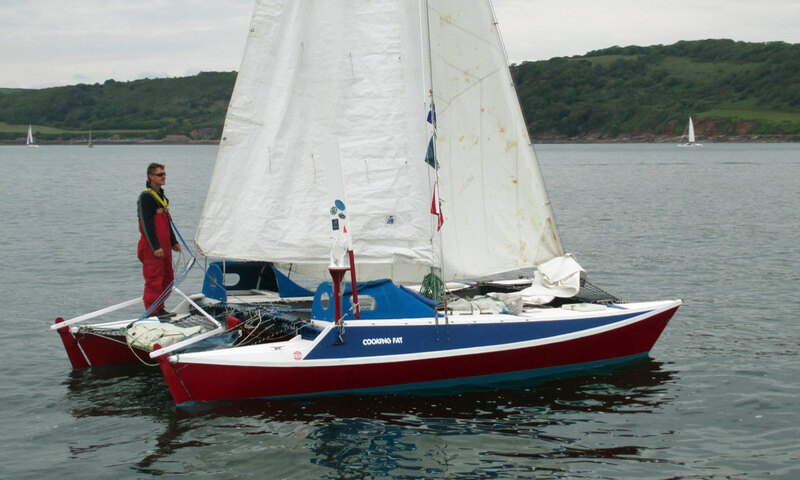 Rory McDougal and his diminutive Wharram-designed catamaran, 'Cooking Fat'. 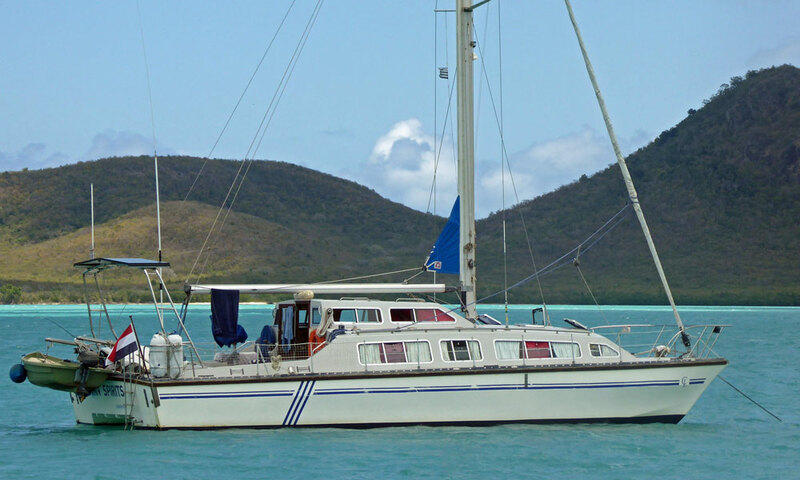 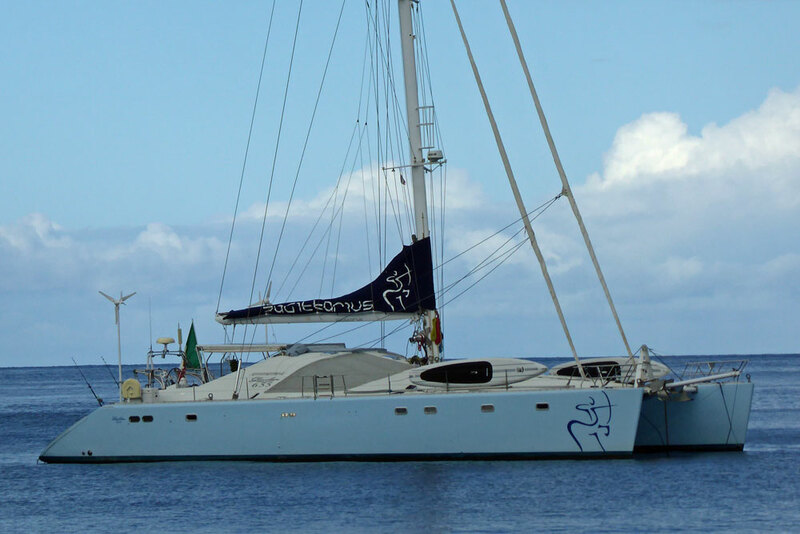 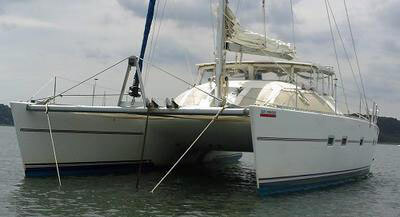 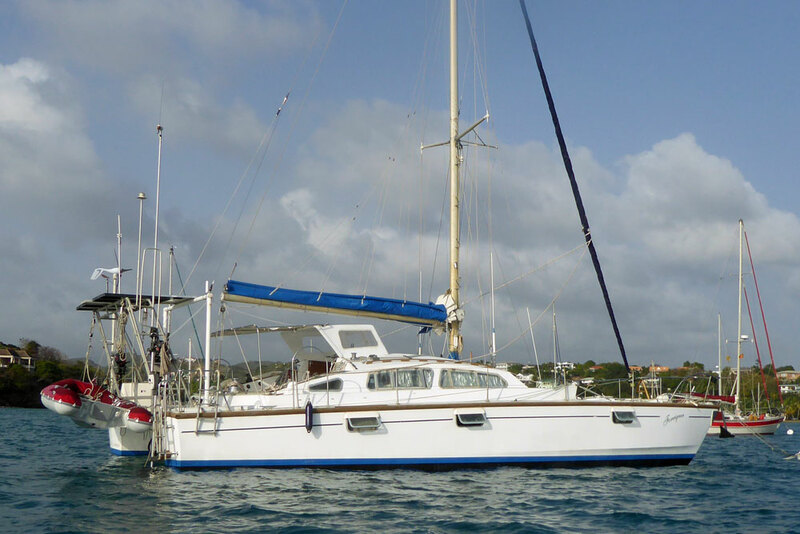 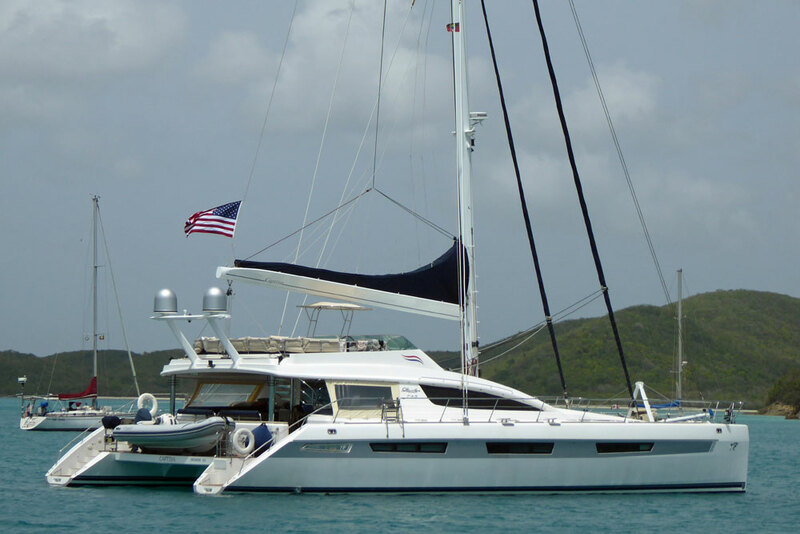 A Lagoon 42 cruising catamaran sailboat anchored on a bridle in the preferred multihull manner.